I don’t do well with caffeine. Back in high school, I did great with caffeine. I would be able to have 2 cups of coffee and fall asleep. But not anymore, although it’s getting better. A year ago I couldn’t have any caffeine because my anxiety would skyrocket. In the past couple of months, I’ve been adding more caffeine into my life, slowly, and I am now up to drinking white tea. On some days, I’ll do green tea. But only when I’m tired and I know I’ll need the extra caffeine boost. There is no way I can even try drinking regular coffee yet though. I think my heart would give out. Not literally, but with my anxiety, it sure would feel that way. That’s why I felt it was safe to give a try to these raspberry ketones weight loss supplements. I have a history of diet pills, trial and error, and most of the time I was left unsatisfied, jittery, and the weight never seemed to stay off. I vowed to never take any unsafe diet supplements again. Three months ago I wrote a post about these pills that I was given by Creative Bioscience. I got to pick any supplement from the website and I found that these were the most interesting to me. 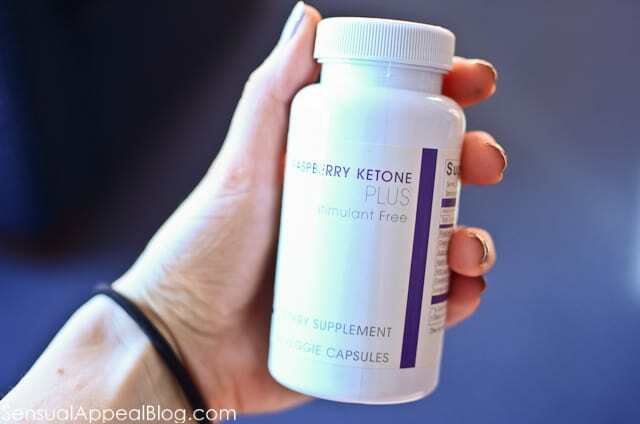 There was a lot of buzz going around regarding raspberry ketones but most of these raspberry ketone supplements also contained a hefty amount of caffeine. I wasn’t going to go that route again. I know how too much caffeine affects me now and I wasn’t willing to experience those feelings again. I liked that the company offers a caffeine-free alternative to regular raspberry ketones so I thought I could give this natural diet supplement a shot. “Raspberry Ketones have been researched and shown to help you lose weight. As with all weight loss aids and supplements, watching your diet and regular exercise should be part of your routine. So what are raspberry ketones? They’re actually the aroma element of raspberries (red). The Raspberry Ketones regulate what is known as adiponectin, which in simple terms helps with our metabolism or the way we process food in our bodies. The ketones help target your excess fat and make it easier on your body to burn those fat cells, thus losing weight quicker. I enjoyed taking these supplements as I felt no adverse effects from the use. I did not record my weight before and after but I did notice a good deal of appetite suppression and faster metabolism. I was more energetic and I actually felt more cheerful and bright on days that I took the supplements. I personally used the raspberry ketones more like an addition to my healthy lifestyle rather than using it as a program to actually lose a certain amount of weight. I mentioned that I want to break free from chronic dieting and obsessive nature of counting calories and fixating on my weight so I haven’t actually weighed myself in a while. I am going by how I feel, how I look, and how I live. I have found that these weight loss supplements, although were not actually used as a weight loss tool for me personally, worked well in making me feel great and the clothes felt looser as I worked on fixing my relationship with food and just allowed myself to enjoy my life instead of focusing on weight loss directly. Whether you plan on using raspberry ketones pills as a weight loss tool or simply as a supplement to go along with your healthy lifestyle to just give it a boost like I did, I think you will enjoy these pills not only because they are caffeine-free and with no adverse effects, but also because you now have the opportunity to try them for FREE. Creative Bioscience will give a 30-day supply of any weight loss supplement to three winners on Sensual Appeal Blog. edit: if you don’t want the Raspberry Ketones, the company has agreed to send you ANY 30-day supply of the product off their website!! There will be three (3) winners in this giveaway and it is open until January 28th. Good luck! Disclaimer: I was given this product free of charge courtesy of Creative Bioscience and was not otherwise compensated. All opinions are my own. Fun fact about myself is i want to open a dog bakery! i am going to school to become a vet tech, but i LOVE to bake. what a great way to combine both! Fun fact about myself: I have a sweet tooth. So much so, that I dream about eating ice cream days on end. Fun Fact: I’ve had two travel firsts in the last month – first time to a tropical island and first visit to Nashville! Fun fact about myself: I totally buy into astrology & personality-type quizzes! Fun Fact: One of my favorite family bonding activities is the group improv class we take together. Mom, dad, brother and sister! Fun fact: I’ve had two pieces of creative nonfiction published in journals. I’ve recently changed my blog name and would like to try these to help boost my energy! Fun fact: I hate the cold and ALWAYS have cold feet literally! A fun fact about me is that I have the not-so-wonderful ability to attract complete weirdos. Just a few days ago I had a customer ask me if I was half and half. I had no idea what that even meant so I asked and he then said, “Are you half Asian?” When I said no he proceeded to stop talking but continued to stare at me in the most awkward and uncomfortable way. Fun fact about me: I hate chocolate! That’s awesome, way to go! How did you do?? I’m a chocoholic and I actually haven’t had hot chocolate in years… how come you aren’t a fan of hot cocoa? I am just learning to swim and I am 29 years old! better late than never 🙂 Although I need to get back into it too! Fun fact(s): my parents live in Brazil, my birthmark is a small bald spot on the back of my head, I love to sew and I’m fairly obsessed with the color yellow. I just don’t like the taste of hot chocolate, wierd isn’t it? I cannot give up sugar. I have such a sweet tooth, I don’t know how to live without it. Fun fact: I’m getting married in June! My fun fact is that I’m really tall – 6’1″, and still one of the shorter people in my family! Oh wow you are tall! How tall is the tallest person in your family? I don’t know if this is a “fun” fact or not, but since being displaced by Hurricane Sandy, I’ve gained 15 pounds. I’m 5’2″, so that’s a pretty big deal. I started going to the gym again, and I’m trying to eat less takeout now that I’m semi-settled into a temporary apartment, but I can use all the help I can get–and I have the same caffeine issues. This is very intriguing. Thanks for the giveaway! Fun fact about me: (well, it’s kind of weird but all the same!) I can pull out my uvula-the hangy thing in the back of your throat. Mine is kind of long! Wow, after reading all the other comments, I am kind of thinking there is nothing about me that is unusual or fun! I am afraid of bats… there! 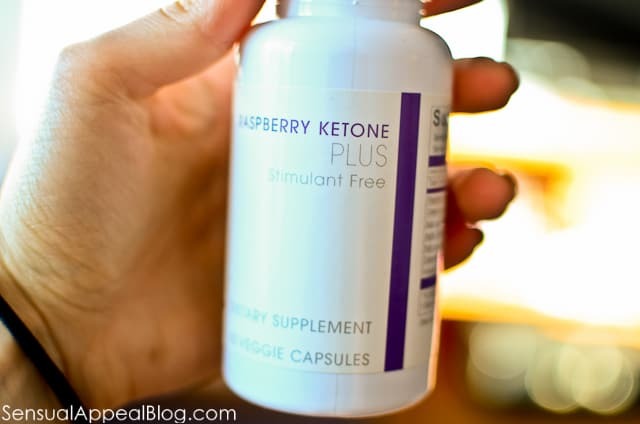 Thanks Kammie for this wonderful post on Raspberry Ketone Plus supplement giveaway. I am also researching and studying about the possible weight loss effects of raspberry ketone. Do they really work and can such supplements really provide the intended natural weight loss results. I have done some research regarding this and have published my own research results on my site. I hope you will find them useful and helpful. By the way, I must admit that I missed this giveaway contest..